To say that our oldest daughter is picky and indecisive, is a massive understatement. She took two and a half years to settle on a colour scheme for her room, but finally decided on a black, white and pink Paris inspired bedroom. 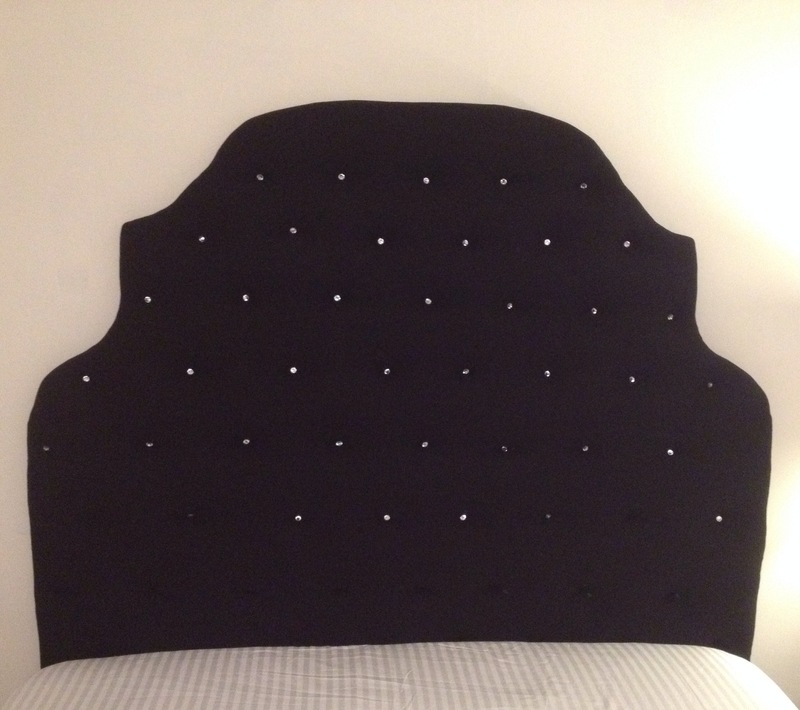 We’ve been working hard on it over the past couple of days, and I’ll hopefully have the whole room reveal ready soon, but for today, I’m going to show you the best part: The headboard! 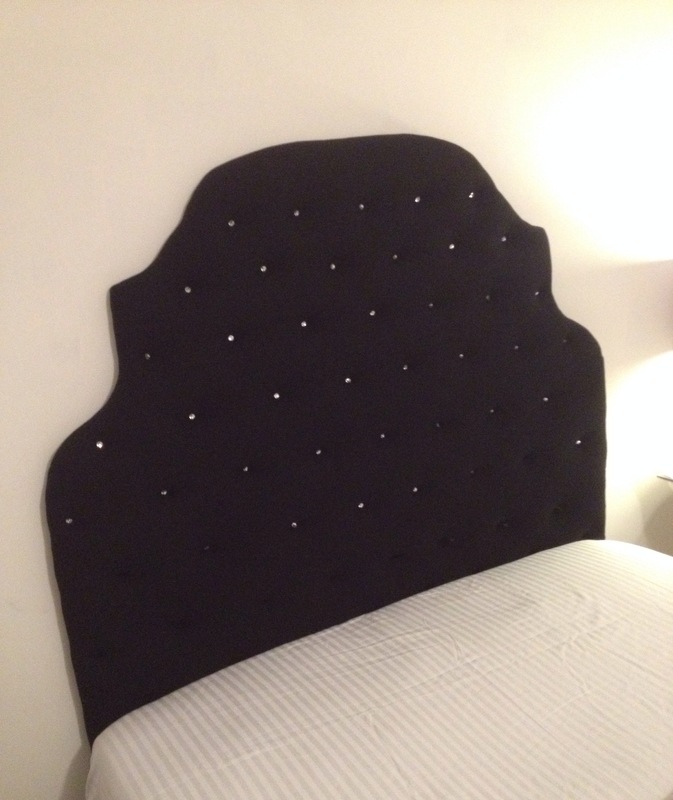 The making of this headboard was easier than I had expected, and I attribute that to the fabric choice. My daughter insisted on a black headboard (Parisian style), and the fabric I chose was a cotton blend that had a bit of a stretch to it. 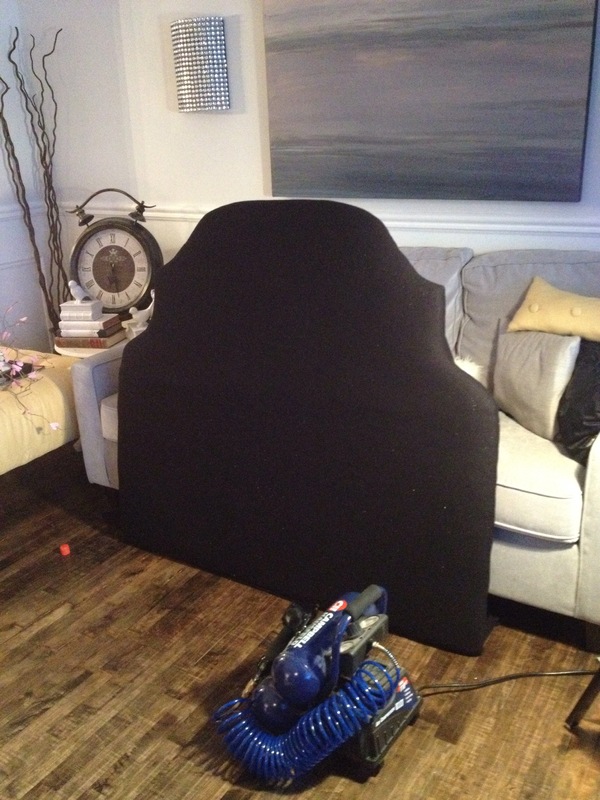 The stretch became crucial in the upholstering process, since I could pull it however I needed to match the shape of the headboard. 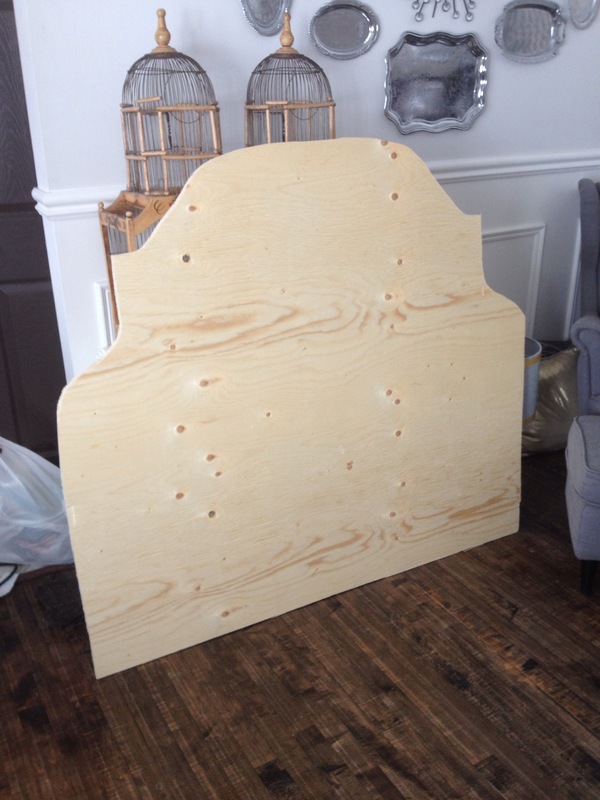 I first decided on the dimensions of the headboard (it’s nearly 5 1/2 feet tall once the legs were added). I used some brown packaging paper that I measured and taped together. 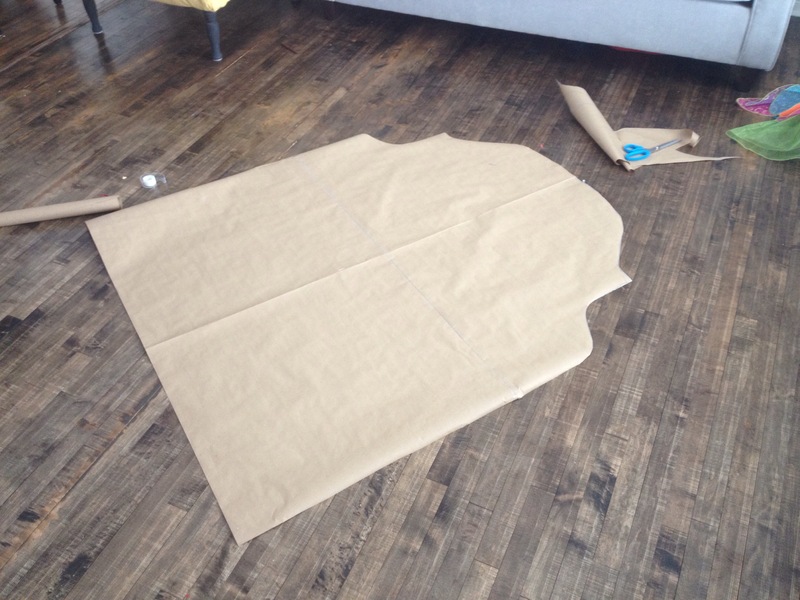 Then, I folded it in half, drew out the shape I was going for, cut it out, and then unfolded it. This template was then traced on to my plywood board. 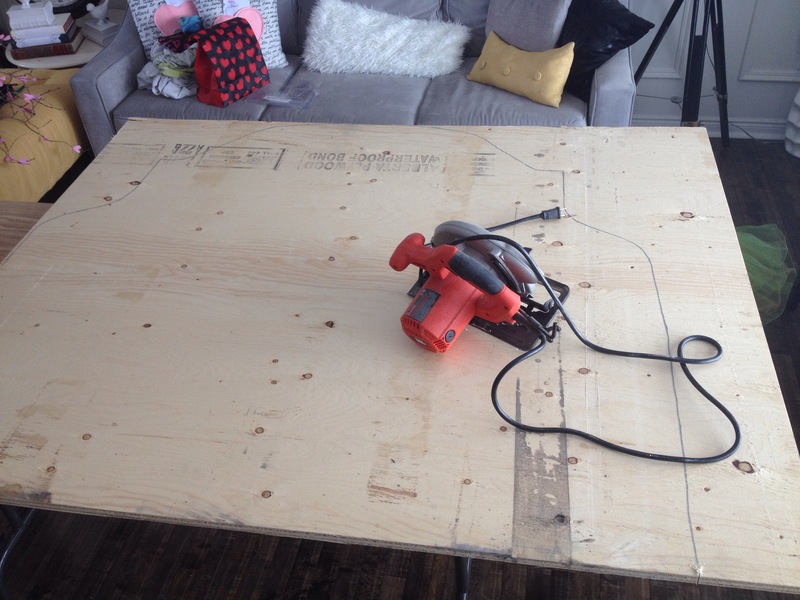 A handsaw and jig saw were then used to cut out the template. Sidenote: In this pic, you can see the tops of an antique Victorian birdcage. OMG!!! This was by far the thrift store score of the decade. Don’t worry; I’ll be dedicating a spring blog post to this beauty. 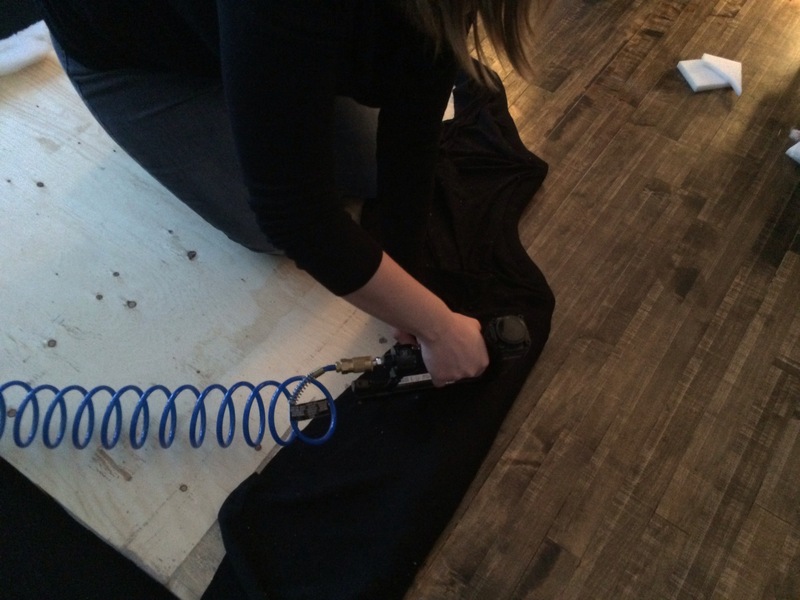 After cutting the 1/2 inch foam and adding batting, I used our nail gun to staple the fabric in place. 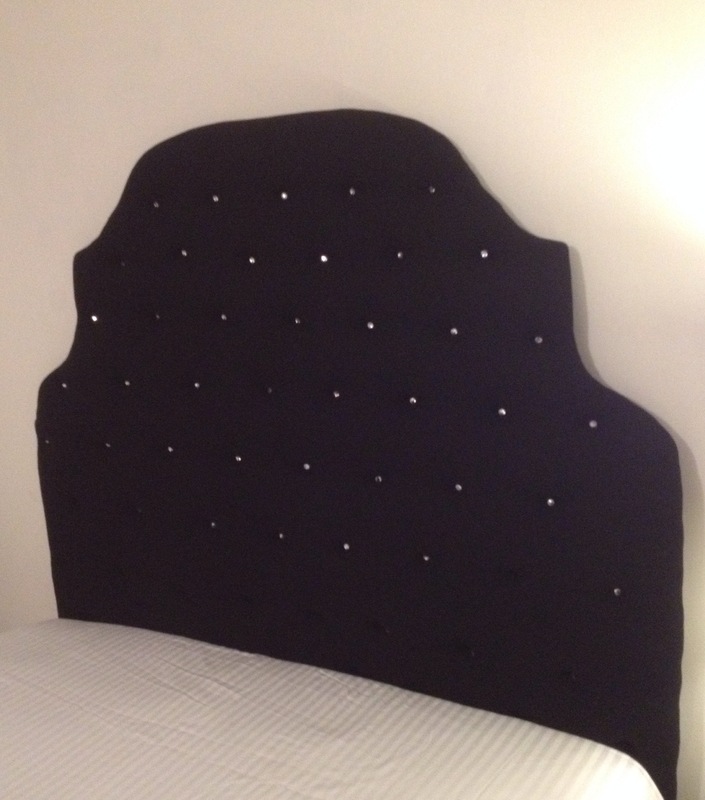 Here is the fully upholstered headboard. I could have left it like this, but I wanted more detail. 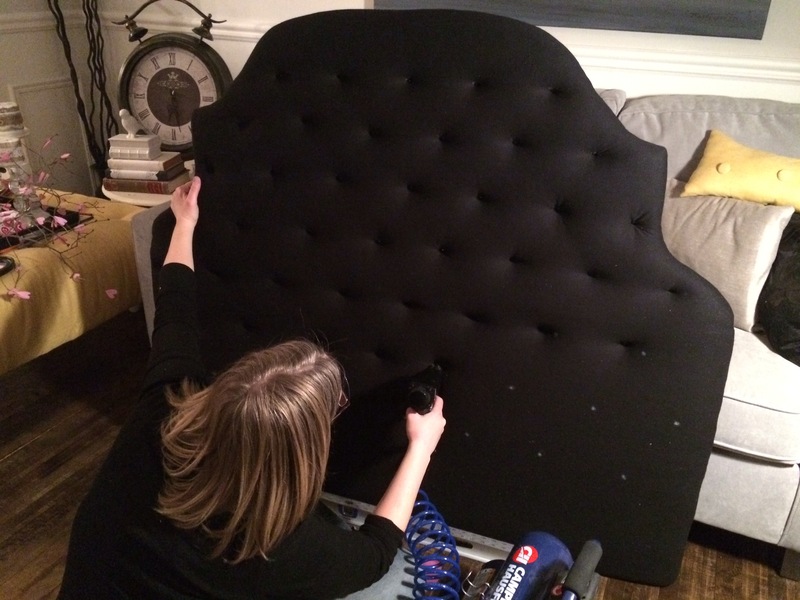 I love the look of tufting, but it is a royal pain in the @$%&^*# to do. Since I’m all about trying to simplify things, I decided to do faux tufts. To create the faux tufts, I used a level and chalk to mark where the “tufts” would go. Then, I stapled wherever there was a chalk mark. Inside each “tuft”, I glued a small jewel (which is just from a sheet of craft jewels from the dollar store). Here it is all finished. I ran out of jewels, and have to buy more, but you get the idea. 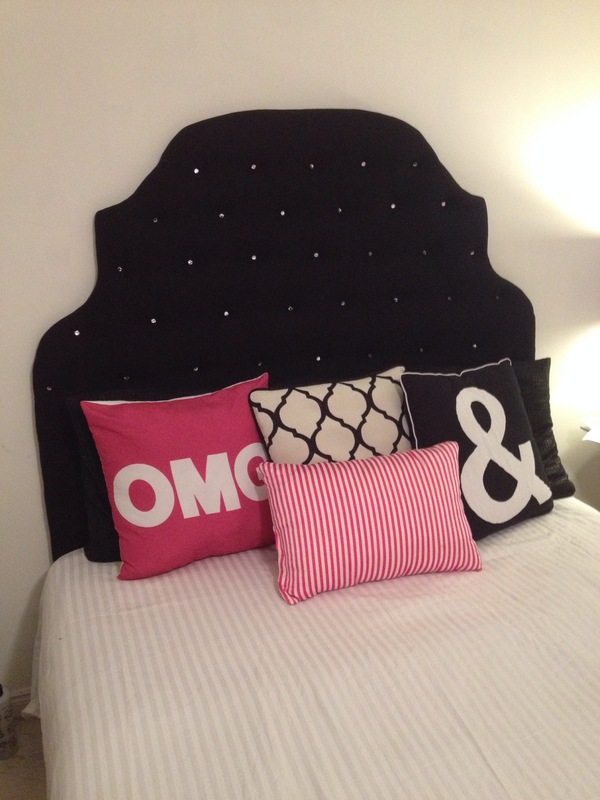 The jewels are what makes this a glam headboard. They actually sparkle in the light, and make it such a statement piece. I’m over the moon with how it turned out. 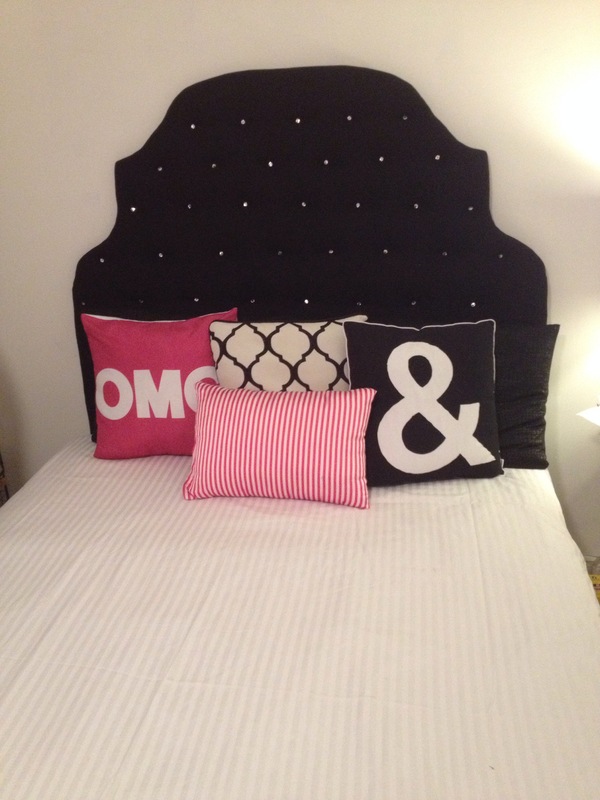 I then added in some fun pillows. 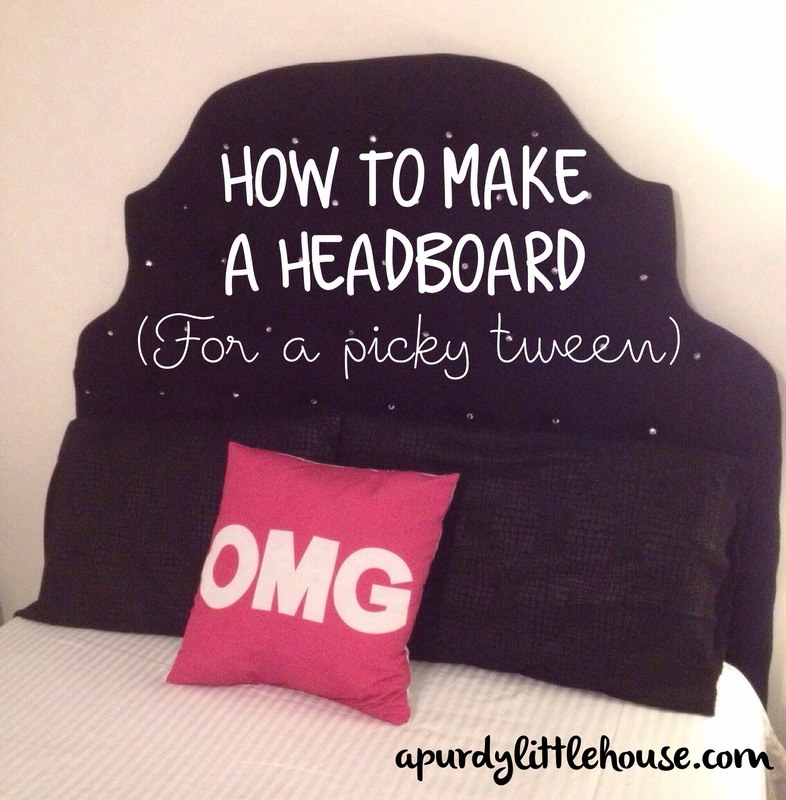 Amazingly, the finished Parisian style glam headboard even managed to please my picky tween. Lol. If you enjoyed this post, please share on Facebook, Twitter, Pinterest, or wherever (lol!!! I’m not picky). Also, don’t forget to subscribe to my blog to receive an email notification whenever a new post is published.